Florida State has been placed on probation by the NCAA for academic infractions. It seems staff members helped athletes on a music history exam, as well as one occasion when an athlete took a test for another. The probation is for four years and includes the loss of scholarships in ten different sports. The NCAA also stated that as part of the penalties, FSU had to forfeit wins in games involving these guilty players in all of those ten sports. The total number of games for football is fourteen. As you would expect, Coach Bobby Bowden claims the sanctions are too high for the improprieties committed. His university is appealing the possible reversal of the victories, and Bowden supports that completely. After all, he'll never catch back up to "Joe-Pa" in overall wins if he has to give up fourteen. I'm sure the NCAA will look very favorably on Bobby's "killing a flea with a hammer" analogy as they consider the appeal. The reason I am apparently showing no sympathy for the Seminoles can be summed up in two words: Jan Kemp. 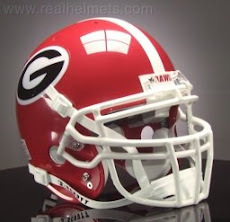 Jan Kemp sued the University of Georgia for wrongful termination after she accused the university of preferential treatment of athletes with regard to academics. And she won. 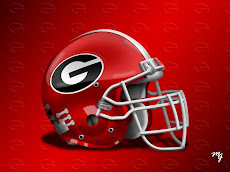 Her success in that case forced Georgia to compete in the recruiting wars at a very big disadvantage from their competition in the Southeastern Conference. 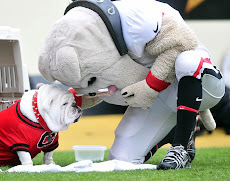 Georgia had to raise its academic standards above the requirements of the NCAA, thus loosing out on kids to other schools simply because they could not qualify under UGA'a tougher restrictions. The University of Georgia paid a tremendously high price for its accused indiscretions. I guess that's why I'm not very concerned with how tough the NCAA comes down on FSU. And by the way, the Seminoles have slipped by with a lot for a long time. What ya gonna do when they come for you.....?